Lone Star Pet Lodges was founded in November 2006 and became a part of the Destination Pet family in February 2018. Our mission is simple: to provide the best care for your pet. We are the destination you can trust. We are the destination your pet will look forward to. We are Destination Pet. 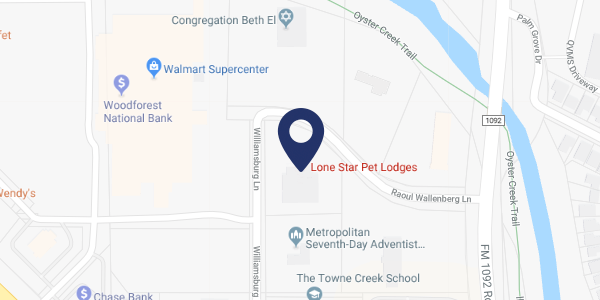 Lone Star Pet Lodges was founded on the dream of creating a full-service, state-of-the-art pet solution center that is friendly to both pets and humans alike. Lone Star Pet Lodges is proud to be a Better Business Bureau accredited business. For four years, we have been a proud winner of the BBB Award for Excellence. First time customers only. Not to be combined with other offers. Daycare or lodging only. © 2018 Lone Star Pet Lodges. All Rights Reserved.